after warmachine I have back for a while to Warhammer 40.000 miniatures. This time it's a small detachment for Ultramarines forces. If you want to see my previous works for Ultramarines pls click here: ULTRAMARINES. What do you think? (pls notice that scouts are for standard level of painting). 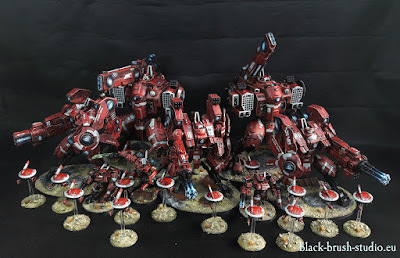 Tau Empire - Farsight army.